The Tridevi (त्रिदेवी) is a concept in Hinduism conjoining the three consorts of the Trimurti (Great Trinity), that are personified by the forms of Hindu Goddesses: Saraswati, Lakshmi and Parvati or Durga. They are the manifestations of the Adi Parashakti, the Supreme Being and Divine Mother in Shaktism. 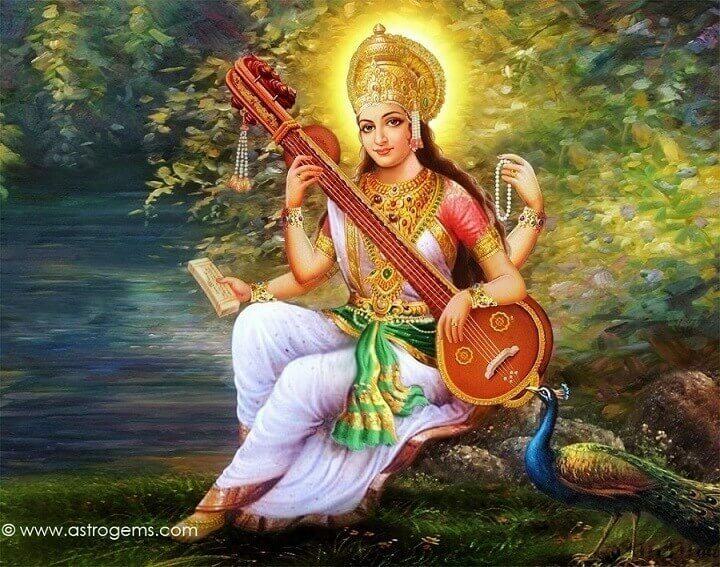 Saraswati is the goddess of learning and arts, cultural fulfillment (consort of Brahma the creator). She is the cosmic intelligence, cosmic consciousness,and cosmic knowledge. 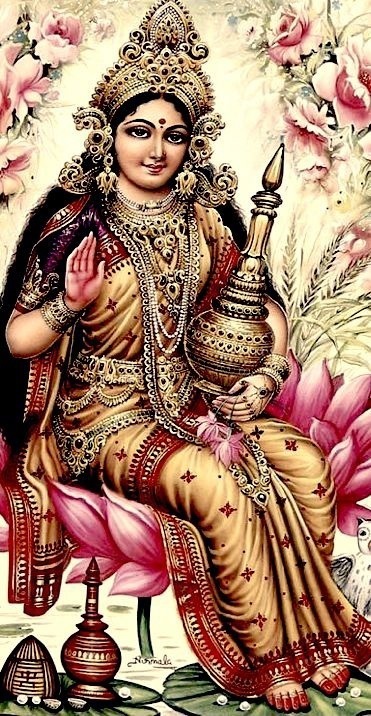 Lakshmi is the goddess of wealth and fertility, material fulfillment (consort of Vishnu the maintainer or preserver). However, she does not signify mere material wealth like gold, cattle, etc. All kinds of prosperity, glory, magnificence, joy, exaltation, or greatness come under Lakshmi. 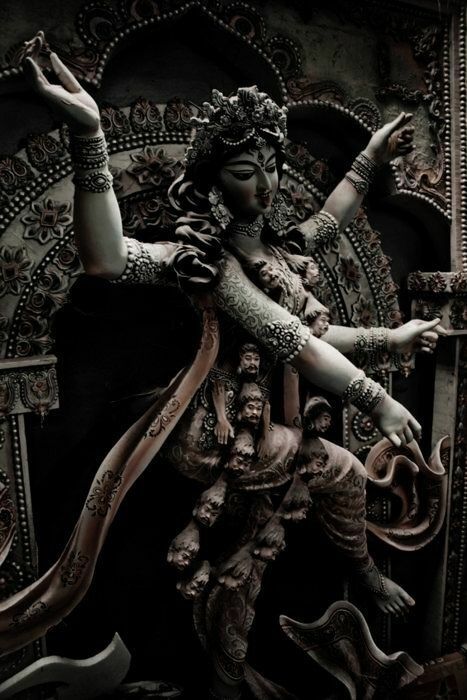 Parvati/ Mahakali (or in her demon-fighting aspect Durga) the goddess of power and love, spiritual fulfillment (consort of Shiva the destroyer or transformer). She also depicts the transformational power of divinity, the power that dissolves multiplicity in unity.